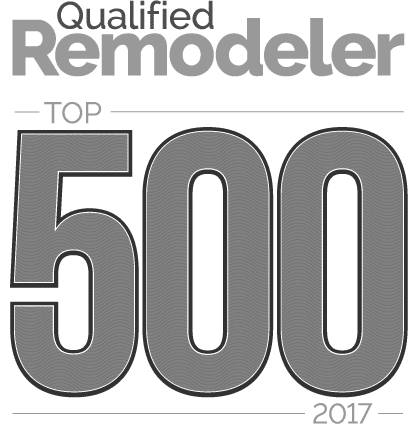 One reason people choose to put in home additions or do custom remodeling in Northern Virginia is to create more space for their growing households. 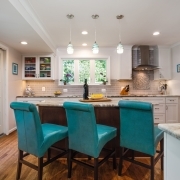 Whether bursting at the seams is a side effect of merging families, new babies, aging parents or boomerang children, a home remodel can relieve the stress of a cramped house. 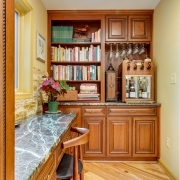 Here are a few ways to make more room or better use of existing space for a growing household with a custom remodel. 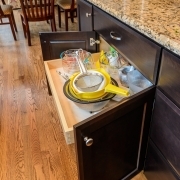 The latest trend in sinks for multiple users is the trough sink. It features two or more stations with spigots and handles over a sloped basin that feeds into a common drain. For the kitchen remodel, it suits the cook, who has extra helpers to wash the vegetables while they’re filling up a pan with water to cook them. In a bathroom remodeling project, a trough sink saves time, allowing various family members sink access at the same time. This is great for kids. In households with several drivers, the standard two-hole garage isn’t enough. A three-hole garage and a circular driveway can accommodate extra vehicles, increasing safety and convenience for everyone. Depending on the lay of the land, the garages can be attached or detached. If you’re looking for extra space but you have a spacious garage and very few drivers in your family, you could convert the existing unit into extra bedrooms or a home office. 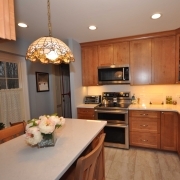 Home additions can increase your living area dramatically. An extra wing on the back of the house offers extra bedroom space, which relieves the cramped feeling experienced by Northern Virginia homeowners in older houses. When the same exterior materials are used for additions, the home keeps its cohesion without losing its character. Changes to the existing layout can complement the addition. for example, open floor plans in the existing area create more space for large dining tables, more seating for family members by the TV and larger bedrooms.